I’m amazed how easy and convenient booking at Klook. Very precise instruction and accommodation. 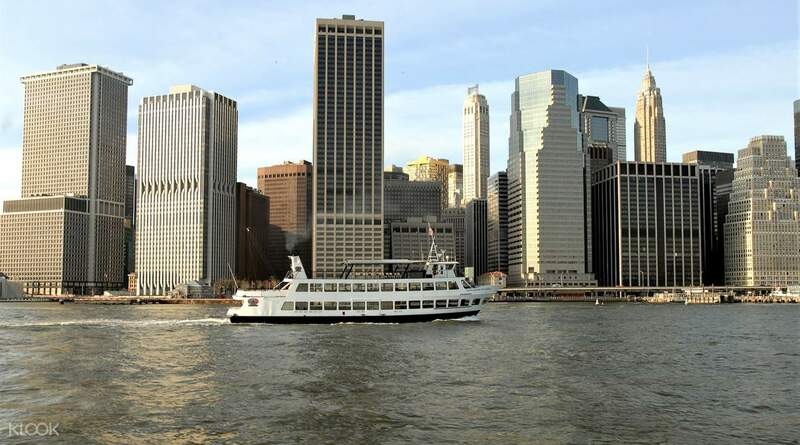 See New York’s most iconic sights on a relaxing one hour cruise on the East River. 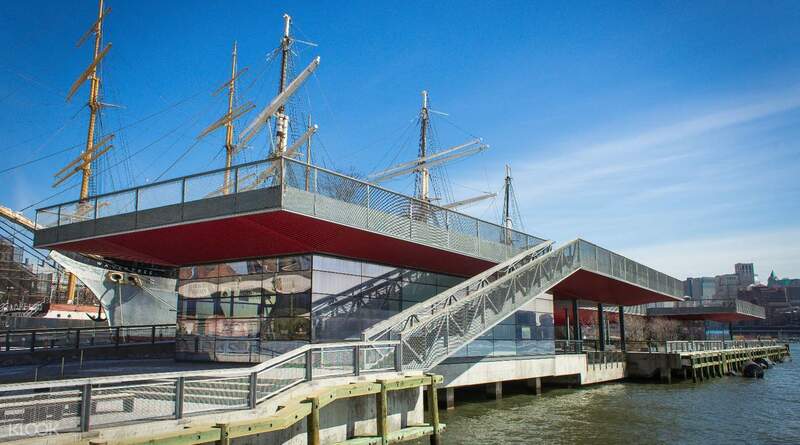 Head to Pier 15 and and hop aboard for your scenic voyage. 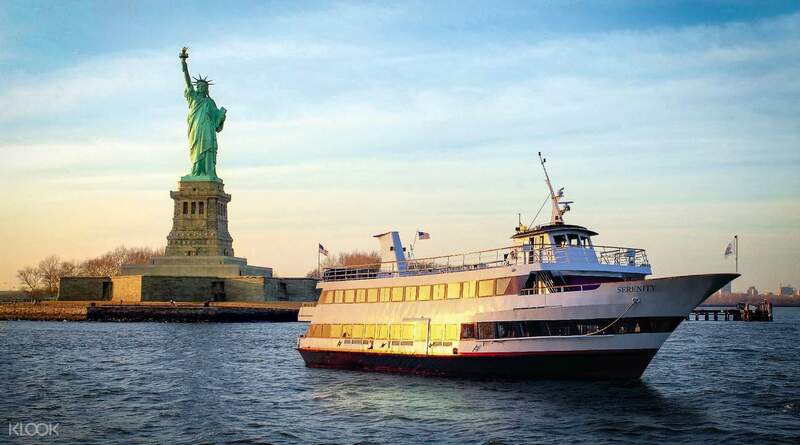 Sail past the city’s three defining attractions: Governor’s Island, Ellis Island & the Statue of Liberty and learn about the city with multilingual audio guide onboard. 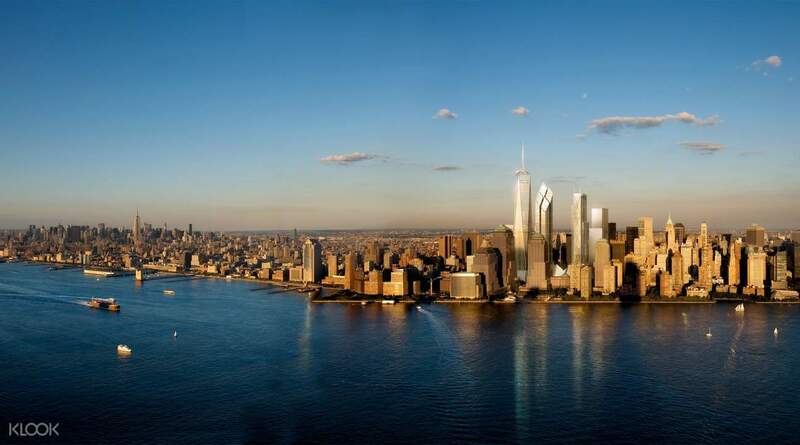 Cruise up the Hudson River for a great view of One World Trade Center before turning back to journey past the Brooklyn Bridge, one of the oldest bridges in the city featured in numerous movies and the Manhattan Bridge connecting Lower Manhattan to downtown Brooklyn. The cruise concludes back at Pier 15.
superb ride. this cruise tour is worth every penny. The admission was pretty easy and once you are on board, it takes you across the city's coastline with good commentary guide in English. You get to see all the major attractions..be it Statue of Liberty, the two bridges, city's high rises and much more. superb ride. this cruise tour is worth every penny. The admission was pretty easy and once you are on board, it takes you across the city's coastline with good commentary guide in English. You get to see all the major attractions..be it Statue of Liberty, the two bridges, city's high rises and much more. This is a quick tour (1 hour) if you want to see the Statue of Liberty, Brooklyn bridge and see other New York landmarks from the boat. We were at the upper deck, and could not hear very well the tour guide's voice over the PA system. overall, well recommended! This is a quick tour (1 hour) if you want to see the Statue of Liberty, Brooklyn bridge and see other New York landmarks from the boat. We were at the upper deck, and could not hear very well the tour guide's voice over the PA system. overall, well recommended! Best sightseeing ever!! i love the ride and manage to capture alot of photos worth it!!!! Best sightseeing ever!! i love the ride and manage to capture alot of photos worth it!!!! I’m amazed how easy and convenient booking at Klook. Very precise instruction and accommodation. I’m amazed how easy and convenient booking at Klook. Very precise instruction and accommodation. Easy to book with Klook and very easy to redeem. This cruise is good and worth every penny. Easy to book with Klook and very easy to redeem. This cruise is good and worth every penny. I enjoyed the cruise! I initially requested for the trip to be moved because of the drizzle, i had a feeling it’ll be denied due to short notice and i understand. So the time i picked is 11:30am but i arrived at :35, the lady at the front desk said i can join the 1pm cruise. I guess it’s a blessing in disguise because during that time the rain has stopped. I enjoyed the cruise! I initially requested for the trip to be moved because of the drizzle, i had a feeling it’ll be denied due to short notice and i understand. So the time i picked is 11:30am but i arrived at :35, the lady at the front desk said i can join the 1pm cruise. I guess it’s a blessing in disguise because during that time the rain has stopped. Really nice tour. Easy to book and easy to enjoy. It takes about an hour and you can see Brooklyn bridge and Statute of liberty from up close. Really nice tour. Easy to book and easy to enjoy. It takes about an hour and you can see Brooklyn bridge and Statute of liberty from up close.